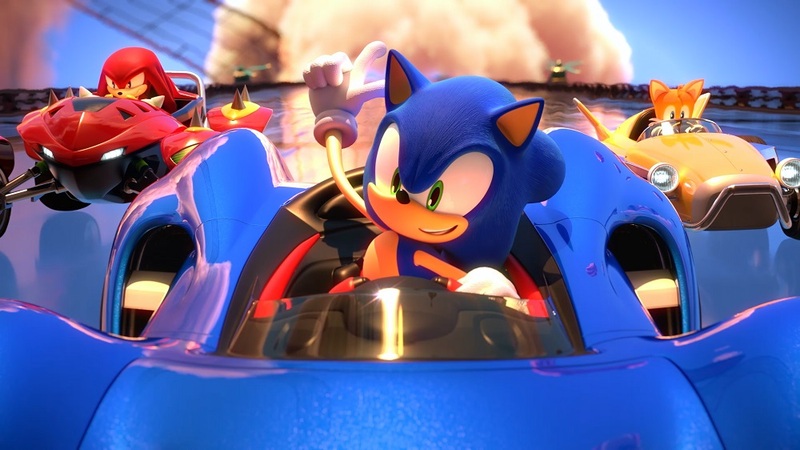 Sega has released a selection of tidbits about their upcoming racing title Team Sonic Racing. The new info was released during Gamescom, currently taking place in Germany this week. It appears that Sonic, Amy, Tails and co. will all be taking part in a map-based racing campaign, similar to that of Sonic and Sega All-Stars Racing Transformed. The gang have been invited to race at the behest of a mysterious Tanuki named Dodonpa, who themselves are a participant in the high-speed action. The gang will take to the tarmac in seven zones, for around 21 tracks in total. These tracks will be mostly based on stages from various Sonic titles, starting from Sonic the Hedgehog 3 and going forward from there. You can check out screens from the just-revealed Market Street track (from Sonic Unleashed and Generations). Team Sonic Racing launches in December on PS4, PC, Xbox One and Nintendo Switch.